K.V. 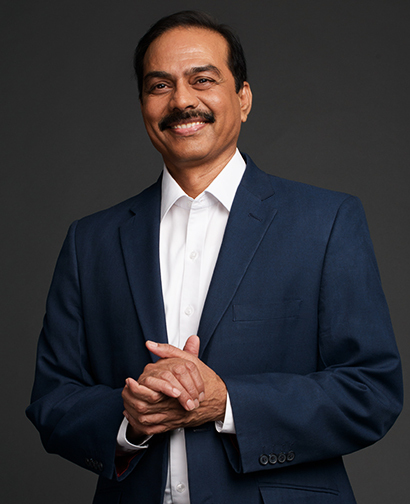 Surendranath, Ph.D., serves as Senior Vice President, Global Sites, for USP. He provides leadership to USP’s international sites in India, China, and Brazil, and is responsible for expanding USP’s collaborative laboratory capabilities to support the development of USP monographs and reference materials. Dr. Surendranath also oversees the growth of USP’s scientific outreach and educational programs about USP’s compendia of quality documentary standards (the United States Pharmacopeia–National Formulary and other compendia of USP) and allied reference materials. Additionally, Dr. Surendranath is tasked with growing USP’s verification programs--which verify the identity, strength, purity, and quality of pharmaceutical and dietary supplement ingredients—internationally. Dr. Surendranath joined USP–India as Laboratory Director in January 2006 and provided critical leadership during the establishment of laboratories there. He oversaw the 112,000 square-foot expansion of office and laboratory space at USP’s Hyderabad site--which features laboratories capable of providing analytical services for the development of reference materials for all of USP’s compendia, including Biologics Research and Synthetic Chemistry. He also served on the team responsible for the expansion of the USP–China site, inaugurated in 2014. Since its opening in 2006, USP-India has provided USP’s broad range of pharmacopeial services to customers in India and the surrounding region. USP has developed extensive relationships with the Indian pharmaceutical industry, regulatory bodies, the research community, and other stakeholders, which Dr. Surendranath will cultivate and extend. Before joining USP, Dr. Surendranath accumulated more than fifteen years of pharmaceutical industry experience in India, and served in a variety of roles. He worked as General Manager for Quality Assurance and Quality Control at Matrix Laboratories, Ltd. (now Mylan), in Hyderabad, where he served for four years. Prior to that, he was at Sri Ram Laboratories for seven years, and spent four years at Vimta Labs Limited. Dr. Surendranath holds a Ph.D. and master’s degree in chemistry from the University of Roorkee (IIT, Roorkee) and a bachelor’s degree in Chemistry Honors.